All sessions, whether evaluation or treatment, are one hour in length, one-one-one with a therapist - not an aide or PT assistant. 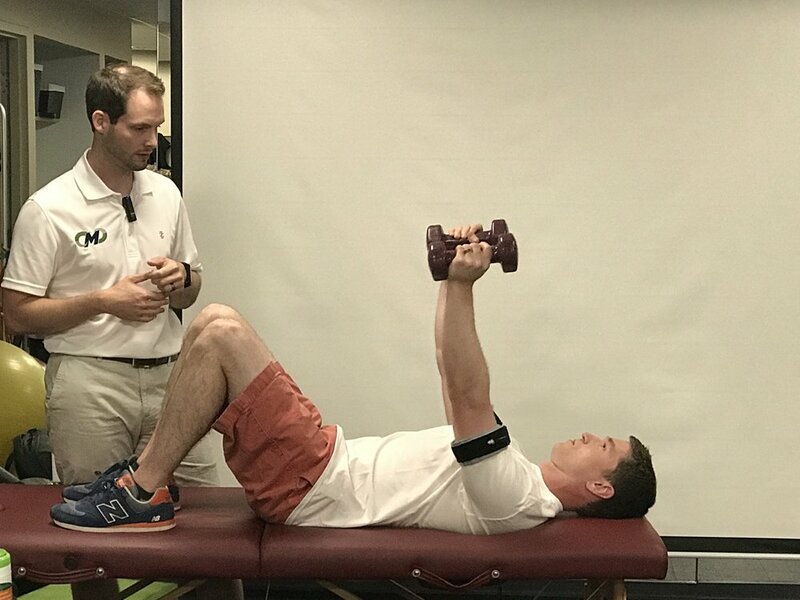 Treatment is focused on hands-on manual therapy like instrument-assisted soft tissue manipulation (IASTM) and exercise strategies to maintain or increase your strength including blood flow restriction (BFR) training. Services can be at our physical location, on-site (your home or office), or via telehealth. Motus PT and Performance specializes in all orthopedic and sports medicine diagnoses of the shoulder, hip, knee, ankle, neck, and back. We improve rehab outcomes by looking at physical, emotional, social, and nutritional health. Blood flow restriction therapy/training is a safe and effective way to reduce time to recovery from an injury. We are the only certified provider of BFR in the state of NH. We are a pioneer of using telehealth services to help you avoid costly visits to urgent care or the emergency room. It is easy to use and HIPAA compliant! Use telehealth for "orthopedic triage" after an injury or as an alternative to an in-person visit.